Voice Over Pricing - VO M.O.VO M.O. We are an audio production team with extensive experience in voice-over recording and production. As the industry has evolved with digital technology and more people attempting careers in voice-over, setting rates has become more complex. It’s always possible to use the current union rates as a guideline, but many people have trouble deciphering union rates. And, with so many non-union talent, union rates aren’t always the obvious solution. We work with a lot of VO talent. We know that some people have rates per word, per studio hour, per finished minute – you name it. Having priced every type of VO production job from big to small, we thought it would be handy to have a calculator that did the grunt work for you. You put in what you know and how you like to charge and the calculator does the rest. As we developed this idea further, that one calculator turned into four calculators and voila! the VOMO was born. We’ve since added a fifth calculator to calculate full production budgets. We use these calculators ourselves when determining project budgets for our clients and we’re continually tweaking them to make them more accurate. We’ve found them really useful and we hope you do, too! If you’d like to know more about us, there are brief biographies below. For over three decades Joe McNeil has been actively involved in the music and voice-over industries. He received his Bachelor’s in Music and his Master’s in Commercial Music from California State University, Long Beach, graduating from CSULB’s prestigious music program. 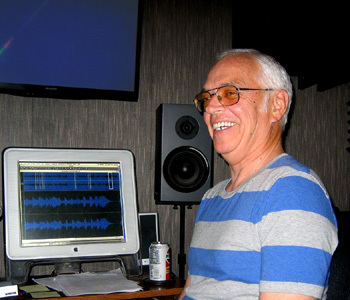 Joe has recorded Jim Cummings, Scott Rummel, Richard Doyle, Hal Landon, and many other well-known actors and voice-actors. He produces voice-over demos, directs voice-over classes, and teaches marketing for new voice talent. Allison Moffett is an experienced recording engineer and audio producer who parlayed her experience behind the board into a successful career behind the mic. She received her Bachelor’s degree in Physics from the University of California, San Diego and her Master’s degree in Applied Math from San Diego State University. 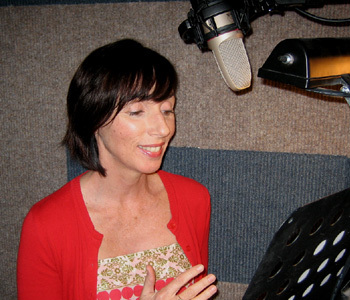 As voice talent, her credits include Match.com, Harley-Davidson, Mercedes-Benz, GameStop, Prudential, Johnson & Johnson, UNICEF, and many others. She has also voiced characters in several Anime series and video games. Allison teaches voice-over classes and marketing techniques for new voice talent.